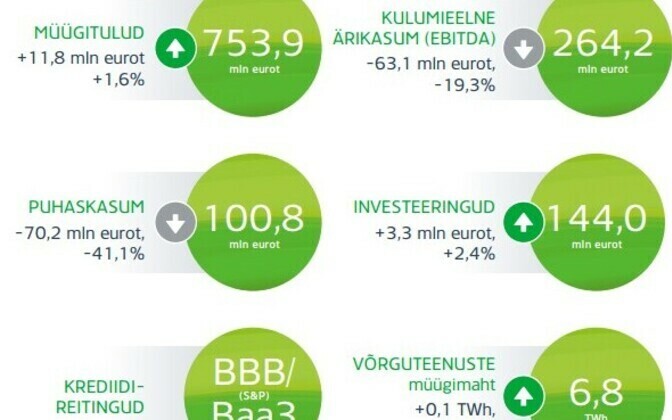 While revenue increased two percent to €754 million, the net profit of Estonian state-owned energy group Eesti Energia fell 41 percent on year to €101 million last year. 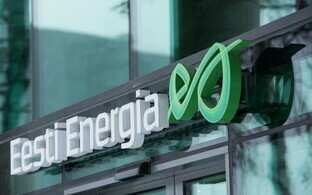 The sales revenue of the energy group in 2017 was €754 million, indicating an increase of two percent on year. The consolidated EBITDA totaled €264.2 million, or 20 percent less than in 2016. 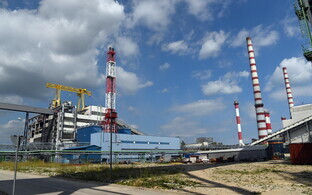 The decline in the group's EBITDA on annual comparison primarily reflects certain one-off items, Eesti Energia said. Net profit totaled €101 million in 2017, 41 percent less than in 2016, when net profit totaled €171 million. Eesti Energia has proposed to its owner to pay dividends in the amount of €15.8 million in 2017, exclusive of income tax in the amount of approximately €4 million. 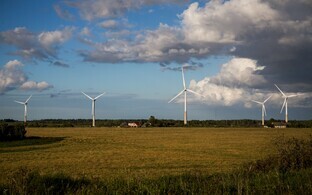 Last year, Eesti Energia paid out €47 million in dividends. According to Eesti Energia CFO Andri Avila, the market price of electricity in the Estonian price area in 2017 remained on the same level as in 2016. "Electricity cost the same in Estonia as in Finland, while prices on the electricity markets of our southern neighbors Latvia and Lithuania remain higher than in Estonia," he said. "Thanks to the NordBalt sea cable, prices at our southern neighbors have nevertheless dropped year over year and become more similar to the prices of Estonia and Finland." Avila said that last year, Eesti Energia produced the largest amount of electricity in the last four years — 9.7 terawatt-hours. "This clearly indicates that the electricity production capacities managed by Eesti Energia are necessary and are staying in competition well on the regional electricity market as well as bringing in export income," he said. "It must also be taken into account that both Finland and Lithuania are still at a great electricity deficit and must import electricity from Russia to cover their consumption." The total electricity production in Estonia in 2017 was 11.1 terawatt-hours, exceeding total consumption by 2.8 terawatt-hours. 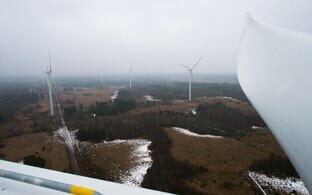 Estonia exported approximately one quarter of its electricity production through the Nord Pool electricity market. 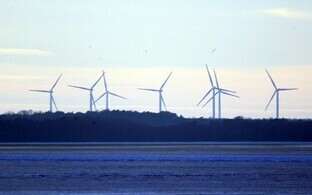 According to Eurostat, Estonia is the most energy independent country in the EU. The financial results of Eesti Energia were also significantly affected by the world market price of fuel oil. The most similar extensively traded product to shale oil is fuel oil with a sulphur content of one percent, the price of which increased 39 percent on year and which on average cost €271 per ton. 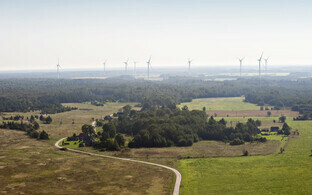 The improved market price of oil enabled Eesti Energia to increase oil production by 24 percent on year. The group's shale oil production totaled 395,000 tons in 2017, which is a record amount. "The Enefit280 oil plant has achieved its projected capacity by now, and is periodically able to produce even more than that," Avila noted. "This year, we are planning on increasing the plant's production even more, first and foremost by increasing reliability." In 2017, Enefit280 produced 45 percent more oil than the year before. Altogether 10 million tons of oil shale was mined from the Estonia mine over the course of the year. "Such an amount of oil shale has never before mined from the Estonia mine in just one year," the CFO noted. "This is nearly double the amount than the initial projected capacity of the mine." Last year, Eesti Energia mined altogether 16 million tons of commercial oil shale. 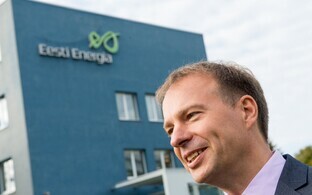 In 2017, the Estonian energy group invested €144 million, or two percent more than during the year before. A total of €75 million was invested in the electricity distribution network for the consistent improvement of its quality. 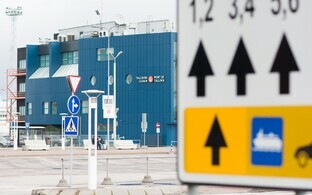 The group's network company Elektrilevi established 221 new substations and laid 1,572 kilometers of electric cable. Altogether 64 percent of Elektrilevi's network is weatherproof by now. Thanks in significant part due to an increase in efficiency, Elektrilevi was able to reduce network fees for electricity consumers by nine percent last year. 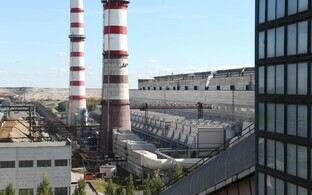 Estonia's largest industrial investment, the Auvere Power Plant, has been operating since 2015. "In 2017, General Electric built a new bag filter system for the Auvere Power Plant which ensures the plant's low dust emission even at maximum loads," Avila said. "General Electric conducted various capacity and reliability tests in the electricity plant and tested fuel mixes. 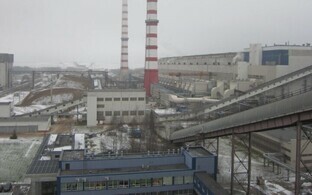 The plant is planned to be taken over from the builder this year." Last year, the Auvere plant produced 1.4 terawatt-hours of electricity. In the second half of 2017, Eesti Energia began selling electricity and gas to corporate customers in Poland, where over 50 customers have been found thus far. After the local gas market opened up, the Estonian company rose to become the second largest gas seller in Latvia. 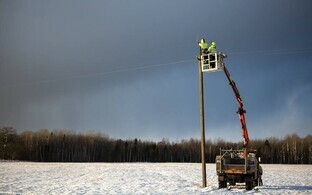 This spring, the company will also begin selling electricity in Finland and Sweden as well; in Finland, energy services will be offered to private customers, while services offered in Sweden will be available for private and corporate customers alike. 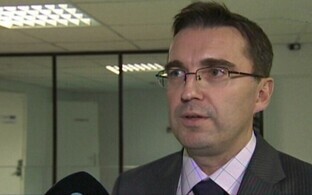 Avila said that the group's strategy is aimed at growth and cleaner energy. "According to the strategy, our goal is to produce 40 percent of electricity from renewable and alternative sources in 2021," he explained. "Enefit Green, Eesti Energia's renewable energy company who is planning to expand its production in the group's existing domestic markets in the Baltic Sea region, will have an important role to play in fulfilling this ambitious objective." 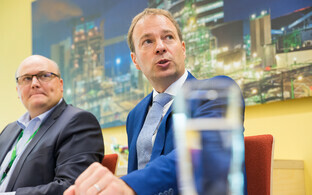 The Estonian government has agreed on listing the minority holding of Enefit Green.